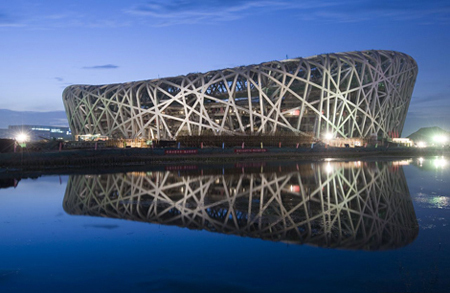 Architects Herzog and de Meuron created an exceptionally beautiful olympic stadium in Beijing based on the way a bird builds its nest. They made the stadium look like they started with some random construction lines, just as a bird starts building its nest with some random twigs. It is hard to perceive any regularity in the structure of the stadium, and at the same time, it looks completely logical and beautiful, just like a bird’s nest. 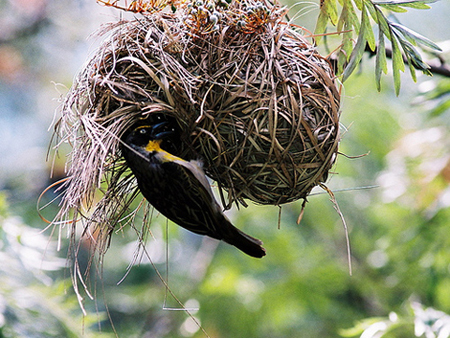 The organic character of the Bird’s Nest is unseen in modern architecture. In modern architecture, a construction line is never random, but always follows the most logical (strongest) way to create the desired building. With the Bird’s Nest stadium, the construction is not following, but leading the design. It looks like the stadium wasn’t build, but just grew. The architects made the regularity almost impossible to see. I believe the Olympic Stadium of Beijing is a genuine piece of art. Written in a new language, based on existing languages of bird’s nests and soccer stadiums, but translated and applied into a new context, and not to forget with a great sense of beauty.